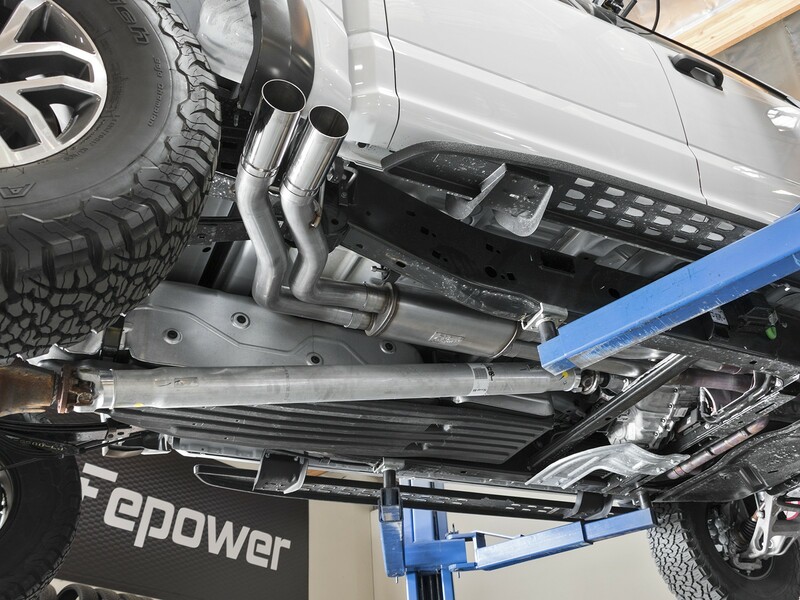 aFe POWER introduces an all new Rebel Series dual middle-side exit exhaust system for the 2017-2019 Ford F-150 Raptor with V6-3.5L EcoBoost twin-turbo engine. 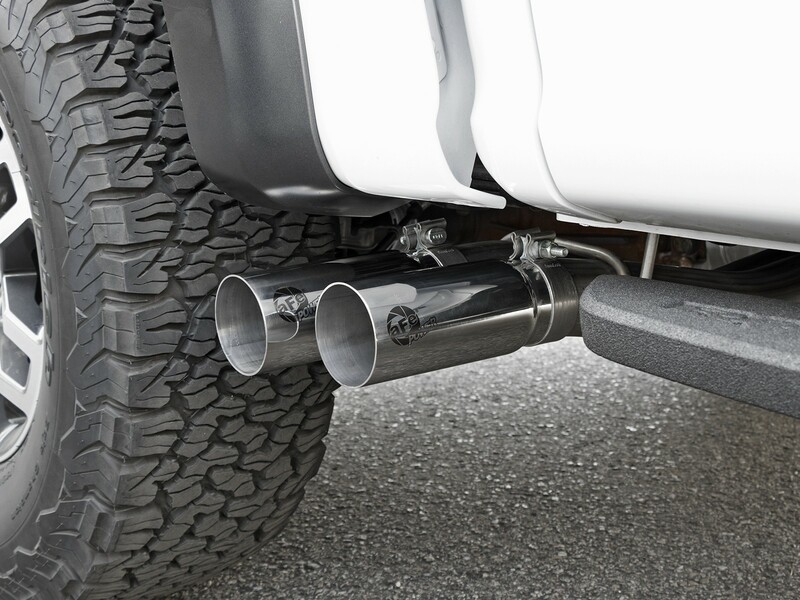 This Rebel Series cat-back is designed with dual polished exhaust tips that exit in front of the rear passenger tire for a unique, aggressive look. The tips come with unique laser-etched aFe POWER logos on the side and are constructed from stainless steel for durability. 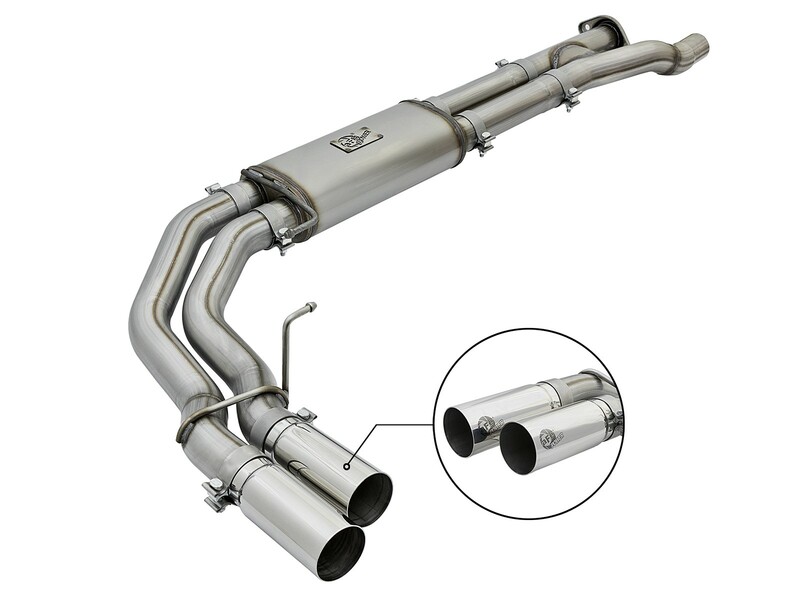 The exhaust system is constructed from 3" MIG-welded, mandrel bent stainless-steel tubing for maximum flow, increased horsepower, and torque. 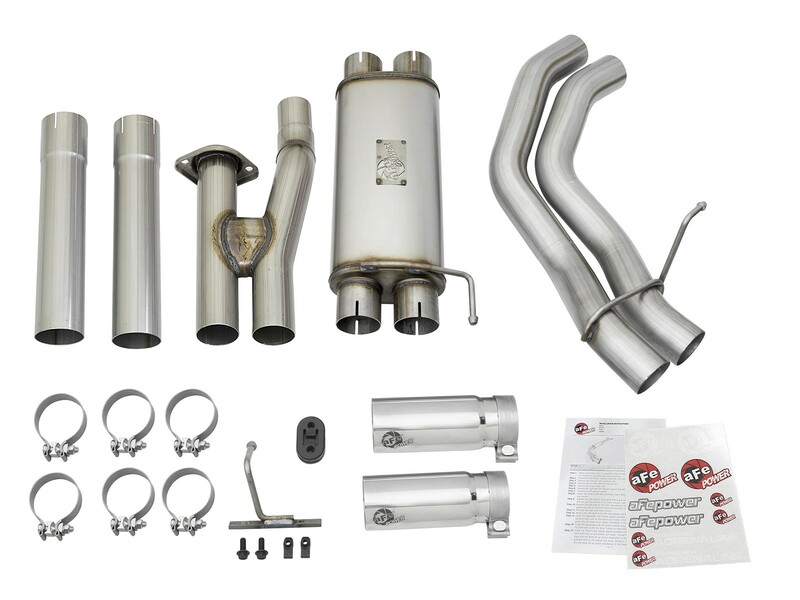 The performance cat-back exhaust system includes necessary hardware and clamps for a hassle-free install, with no cutting required making it a true bolt-on system. 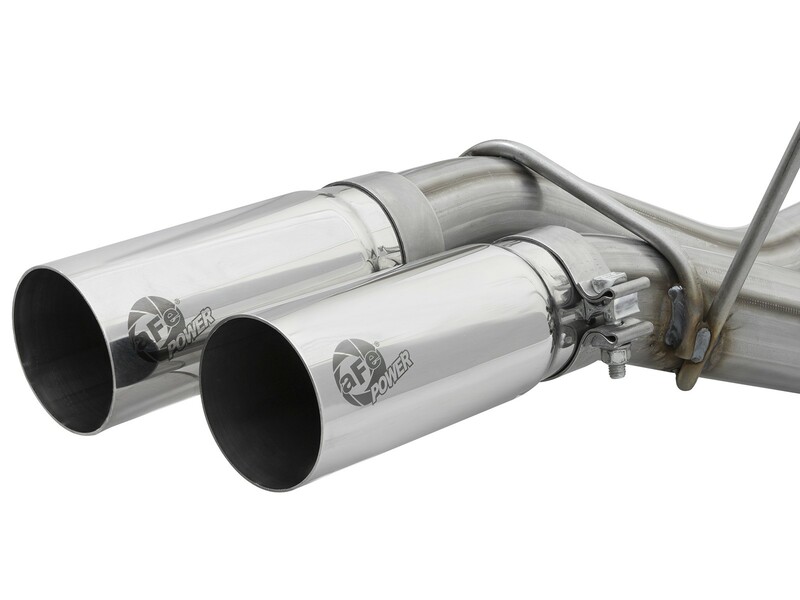 Finishing off the exhaust are dual 3-1/2" diameter polished 304 stainless-steel clamp-on tips with a laser-etched aFe POWER logo on the side for an aggressive style. The tips are designed to exit from in front of the rear passenger side tire for a unique custom look. 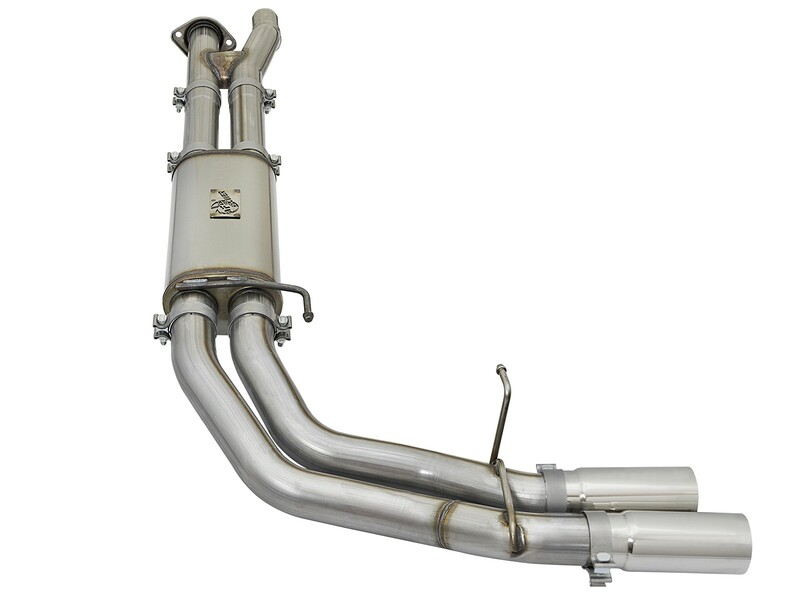 This Rebel Series exhaust system uses factory mounting locations providing stability and a hassle-free installation. High quality band clamps are used for a complete 360-degree sealing surface eliminating leak paths. 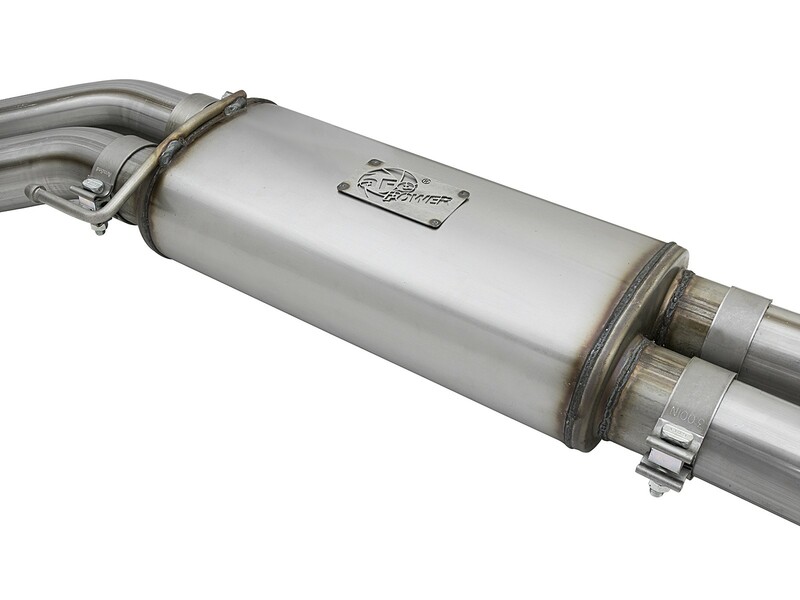 A free-flowing stainless steel muffler is used to absorb high pitch tones, producing a powerful sound and unleashing all available horsepower and torque. 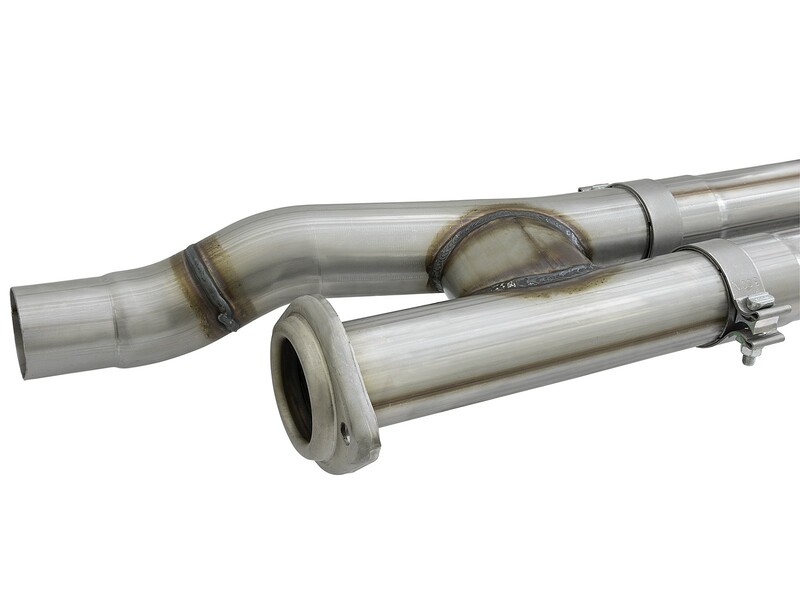 OE-style bayonet hangers are used to maintain a stable pipe location during high vibration and high heat conditions. The bayonet tip holds the hanger bushing in place for an OE-style fit that does not change with time. This makes for an easy installation with no cutting required.